Weighty Matters: What Are Walmart Pharmacists Doing Health-Washing Cookies? 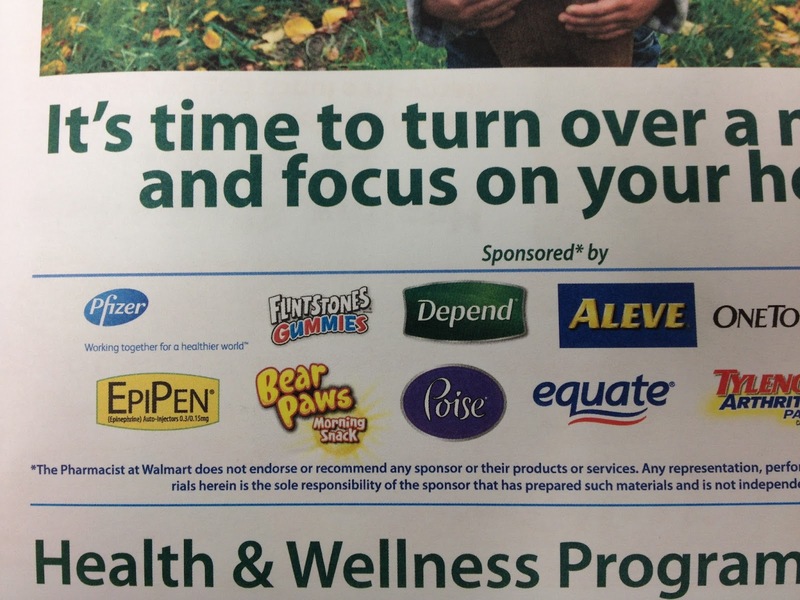 What Are Walmart Pharmacists Doing Health-Washing Cookies? That photo up above was sent to me by a disgruntled Walmart pharmacist. 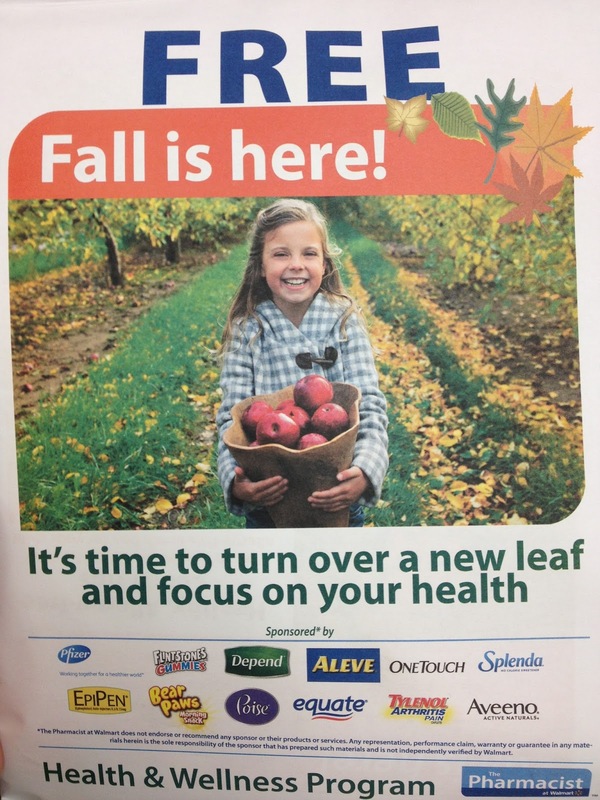 This pharmacist had been tasked to hand out to clients a FREE package of "Health and Wellness" products for Fall. Check out the sponsors of the package and play, "One of these things is not like the other". Did you catch the Bear Paws? In case you aren't familiar, Dare Foods' Bear Paws have been featured on this blog before in a guest post that pointed out that not only are they cookies, but that they're targeting children and parents to suggest that cookies make great snacks. 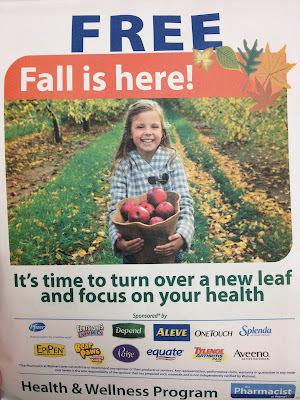 Clearly here Dare Foods' marketing arm has decided to market them as healthy by paying for them to be included in a bag handed out by a trusted allied health professional. To put these cookies into a tiny bit of perspective, a few years ago Nabisco made something called Triple Double Oreos (picture a triple decker Oreo). Comparing nutrition facts, a Bear Paws cookie has 20% more calories and 12% more sugar than one of those Franken-Oreos. 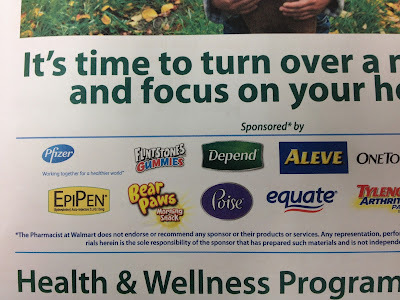 "The Pharmacist at Walmart does not endorse or recommend any sponsor or their products or services." "Of note, on the pics I sent you, I love the disclaimer at the bottom about how we don't "endorse" any sponsors products. Well, yeah, we kind of do if we explicitly hand the package over to the patient with the sample in it. I would count that as an endorsement." So would I angry pharmacist, so would I, and undoubtedly too, so would Dare Foods. Shame on you Walmart. While I have no issue with you selling all the Bear Paws you want, having your pharmacists hand them out in the name of health just so that you can make a few more bucks is simply abominable.